New Jersey is one of the northern states of the United States and was part of the original 13 colonies that made the 13 stars in the country’s first flag. New Jersey has the highest percentage of population in urban areas in the country regardless of its size, bringing it also to the highest population density with approximately 1000 people per square mile. As all states New Jersey also has its metropolitan areas, however is the only state that has classified all its counties as one. Because it has such great population, the state has the biggest and most dense highway and railroad systems in the country. New Jersey is also known as the world’s car theft capital, making Newark number one, greater than New York City and Los Angeles together. Cape May in New Jersey in one of the most unique and old seashore resorts in the country attracting hundreds year long to stay and enjoy life by the sea. As many states, New Jersey also has its nicknames and it is sometimes referred to by Dinner Capital as it has the most diners in the world, also the state has the most amount of shopping malls in a 30 square mile radius. New Jersey is also home the river Passaic, where the first ride in submarine was done after John P. Holland invented it. Jersey has the biggest seaport located in Elizabeth and this has helped the state become a great tourist center for getaways offering over fifty resort cities including some of the most popular worldwide: Atlantic City and Asbury Park. The state is also home for many of entertainments greatest such as Jack Nicholson, Bon Jovi, Das EFX, Bruce Springsteen, Queen Latifa, Shaq, Whitney Houston, Frank Sinatra, Grover Cleaveland and so many others. Also New Jersey was the place where Thomas Edison invented the most used item today, the light bulb, at his lab in Menlo Park. Atlantic City a popular resort city for many around the world and it has the longest boardwalk in the world. New Jersey’s Atlantic City not only brings hundreds of tourists to visit, but was also used for the popular game of Monopoly, as its streets names were taken from actual streets in the city. Thanks to all these attractions and facts, New Jersey attracts hundreds of people throughout the whole year whether it is by car, sea or air. New Jersey is home to the Newark International Airport, initially the biggest airport in the country, straddling between the municipal lines of Elizabeth and Newark, which now belongs to the New Jersey – New York Port authority. Newark International serves both states bringing one of the most heavy air traffic in the country. New Jersey as mentioned before also has the biggest seaport in the country located in Elizabeth helping the traffic flow be of high demand in and out of the country. Having both of these major entrance and exit points, has helped New Jersey become a hot spot for car transportation as it offers all main facilities from cars come from and go to, especially for the car industry. Car Transport in New Jersey is a very popular service that is used by many people year long; whether its private or commercial owners. The state not only serves as a starting or ending point for many routes, but also is located on the way of many other coast to coast and north to south routes. As most of coastal states whether on the east or west side, New jersey’s most important and busiest car transport time is during snowbird season or winter, as many are looking to flee the harsh weathers from the north. Because it has the port near, it is easier for people from other countries such as Canada to transport their vehicles down south during this season too. Snowbird season isn’t the only flow the port receives, a lot of movement from other ports such as Michigan, come directly for the car industry to be shipped worldwide to many dealers. As other states, New Jersey also has main points from where car transport starts or ends, these cities are Newark, Jersey City, Elizabeth, Trenton, and the famous Atlantic City. Each city however, has different movement and receive their demand for different reasons. Newark as the main city and major transportation point of the state and has a great demand in car transport during the whole year. People from all over start or end their travel at this point and request to have their cars transported from anywhere to anywhere regarding this point. Jersey City is one of the main port of entries, not only for New Jersey but for the country itself. Jersey has over 11 miles of waterfront and important rail connections. 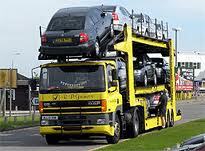 Car transport is also a hot spot from this location thanks to all the imports and exports coming through the port. The city of Elizabeth has become a focal point for the east coast as it lies close to Newark International Airport, New Jersey Turnpike, the Garden State Parkway, and Routes 1 and 9. Car Transport is accessible from any point and helps serve all neighboring cities and locations that come through these routes. Trenton as the state capital, and as a capital it will be a major point of transportation for the industry. Car transport from the city is in high demand throughout the whole year, although less driver availability occurs during the harsh winter seasons. Atlantic City is a Mecca for tourism for people all over the world. As a tourist center, many people look to move into this city and car transport movement is in high demand going in and out of the city. 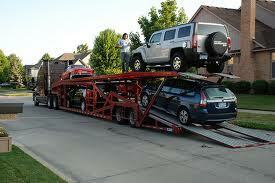 Now that you have an idea of how Car Transport to and from New Jersey works, read also, How to ship a car? and How much does it cost to ship a car? Ready to ship and need a quote? Get a quote on our instant online calculator! Have a quote already and need to book? Call one of our agent at (800) 516- 3443 and reserve your transport now!